Sustainable Seafood: What Does It Mean? For Fish & Co., sustainable seafood means wild caught fish and seafood sourced from fisheries that are committed to sustainable fishing practices. It is important to us that the seafood we sell to our customers can be eaten today, tomorrow and into the future. wild caught seafood is seafood that reaches our plates with minimal impact on the environment and targeted fish species, other marine wildlife and the marine ecosystem itself. 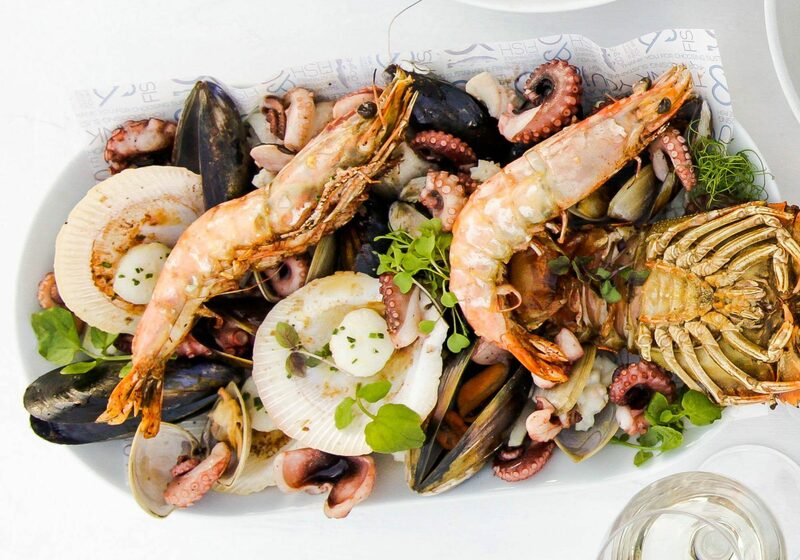 farmed seafood or aquaculture is deemed sustainable if it is produced without causing excessive harm to the marine environment or polluting surrounding waterways and feed fed to farmed fish is not heavily dependent on fish sourced from wild fisheries. What does Fish & Co. do differently? Firstly, we only use wild caught fish or alternative under utilised species that are not under threat. The only cultivated seafood we use are mussels. Mussels are the perfect source of sustainable protein as they do not have to be fed, inlike many other forms of farmed seafood. 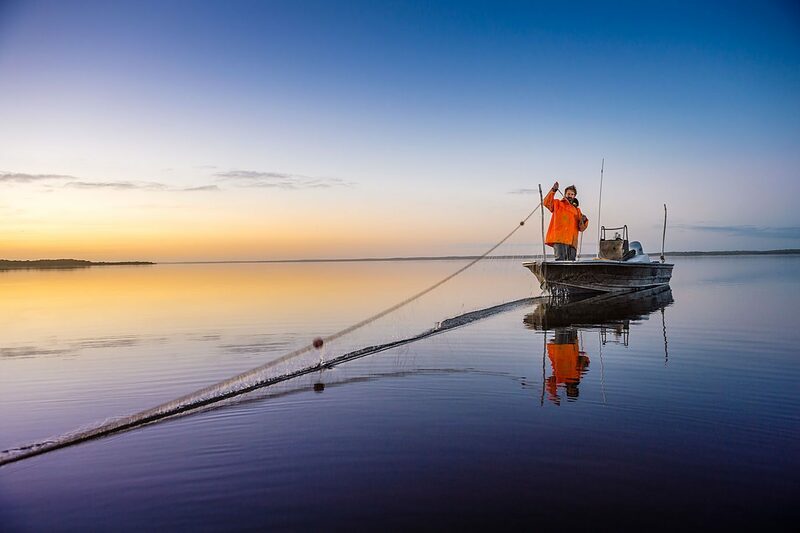 We work very closely with Australian fisheries and local fisherman who are going above and beyond to harvest ethically sourced sustainable wild fish. We use local Albacore tuna,blue mackerel, sea mullet, yellow eye mullet, gurnard, leatherjacket, sardines, whiting and latchet from Australian fisherman. Given that Australia has to import much of its fish, there is no reason why we should not choose fish with internationally respected seafood labels, such as the Marine Stewardship Council. We import MSC certified Alaskan Sockeye Salmon and Pacific Cod. Both these fish are wild caught so no antibiotics are present. They are snap frozen pre rigor mortis which is an excellent modern technique to ensure all the goodness of the fish, gelatine and firmness are trapped inside the fillet. The Skull Island prawns, Alaskan salmon, Hake and Hoki use this snap freezing technique and it enhances the quality of the fish fillet. Our prawns are wild caught Australian prawns, not farmed. We use tiger and banana prawns from the MSC certified Northern Prawn Fishery (NPF) which scored very higly when achieving full sustainable certification from the MSC. At Fish & Co we are showing that it is possible to use imported fish and seafood that is environmentally responsible and also support Australian fisheries and fisherman. Is All Australian Seafood Sustainable? While Australian fisheries and fish farms have better management in place than some other countries, we still have a long way to go before all our seafood is truly sustainable. We still have fish species that have been overfished and have not recovered to healthy levels. Australia has the third largest marine Economic Exclusive Zone but our waters are not nutrient dense and we do not have an abundance of fish within them so we need to rigorously manage sustainable levels first time round. Is Australian Farmed Fish Sustainable? The fundamental concern with many farmed species in Australia is they are carnivorous (Atlantic salmon, rainbow trout) or omnivorous (barramundi) and therefore this does not take the pressure off wild fisheries. Many popular farmed fish are fed fish pellets made from wild caught fish. Nearly all the salmon consumed in Australia is farmed. To produce 1kg of farmed salmon takes at least 4kg of wild fish that is hoovered from the ocean and made into fishmeal as feed. Why Is Sustainable Seafood More Expensive? Did you know that a whooping 70% of Australian seafood is imported? The cheap imports that are fished and farmed without the same regulations as in Australia, makes sustainably sourced seafood appear more expensive. With no requirement for accurate labelling, consumers often see local and imported seafood as identical and will choose the imported cheaper product over Australian seafood without recognising the choice they are making. For example, flathead, the classic, ever popular fish in pubs, restaurants and fish & chip shops. Unless the flathead you are buying is specifically labelled Australian flathead you are probably buying or eating the cheap, imported, bottom trawled, South American fish of a completely different family. The selling of imported product as local when there is an Australian equivalent is more common than you would like to believe, particularly with tuna, prawns, calamari, octopus, barramundi, bugs and any species of fish with an equivalent Australian counterpart. This drives the prices down and is economically damaging to our domestic seafood market. Cheap fish & chip shops? The products on the menu are likely to be farmed, processed and imported from Asia. There is genuine concern about some of the cheap fish, farmed prawns and other aqua cultured products imported from Asia. High levels of banned antibiotics and dangerous bacteria are often traced and shipments from China, Thailand, Vietnam and Malaysia are often sent back by customs.Much of the Barramundi, that iconic Australian fish, is now farmed in Asia. There is of course excellent Barramundi that is produced in Australia either wild or reared in sea cages but it is not going to be cheap. Basa is a catfish farmed in Vietnam and Thailand whose origins are dubious at best. Basa also misleadingly called pacific Dory, is cheap fish often used for battered fish and chips. Flake is in fact Gummy shark which is not commercially fished in many countries. The prawns are most likely to be farmed and so their provenance is questionable as it is not clear what they are fed either in the form of food, or higher levels of antibiotics.